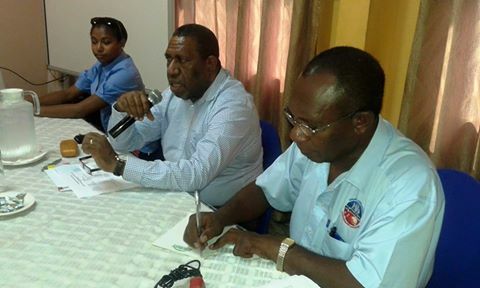 The New Generation Party held its executives and caucus meeting on Friday 13th May at the Hideaway Hotel in Port Moresby. Almost a hundred participants attended including potential candidates from other provinces. The main issues discussed included the review of the New Generation Party policies and strategies to win the election and to be an active partner of the new government in 2017. “I want to assure the people of PNG that a New Generation led Government will pursue a set of policies designed to improve the social and economic welfare of all Papua New Guinean citizen’s and in the New Generation Party Statement 2017-2022 I want to briefly outline some of the initiatives we will be taking during the term of Government and allow the people to judge us on the results,” said New Generation party leader Bire Kimisopa.